The eThekwini Municipality is beefing up its fight against crime by installing advanced technology to try and nab criminals. Policing experts from America and the United Arab Emirates are assisting the city. In April 15, 2013 two homemade bombs ripped through buildings at the finish line of the Boston Marathon. Three people died and hundreds were injured in that incident. In just under 48 hours the FBI was circulating images of the suspects. Sean Michael Smooth advised former American President, Barak Obama, on security issues at the time. He credits the technology used after the Boston bombings for the quick arrest of the culprits. Social media must be implemented mindfully with policy & strategy. With proper process, technology assists agencies in increasing ability to serve/protect communities in efficient/safe/just/fair manner. These include cellphone and fixed camera footage. Smooth says major cities like Durban could benefit from this. Last year, the Durban Magistrate’s Court sentenced the killer of Kidesh Ramjettan after the murder was caught on CCTV cameras. EThekwini officials say more of these will be installed in and around Durban soon. 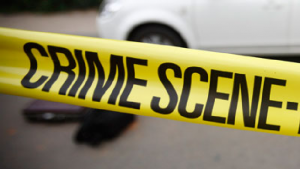 The post eThekwini Municipality strengthens fight against crime appeared first on SABC News – Breaking news, special reports, world, business, sport coverage of all South African current events. Africa's news leader..